The final stop of the Texas inflatable suit performance tour began outside Akard Station in Dallas. This is a shot of the suit in its bag with the portable battery pack next to it. 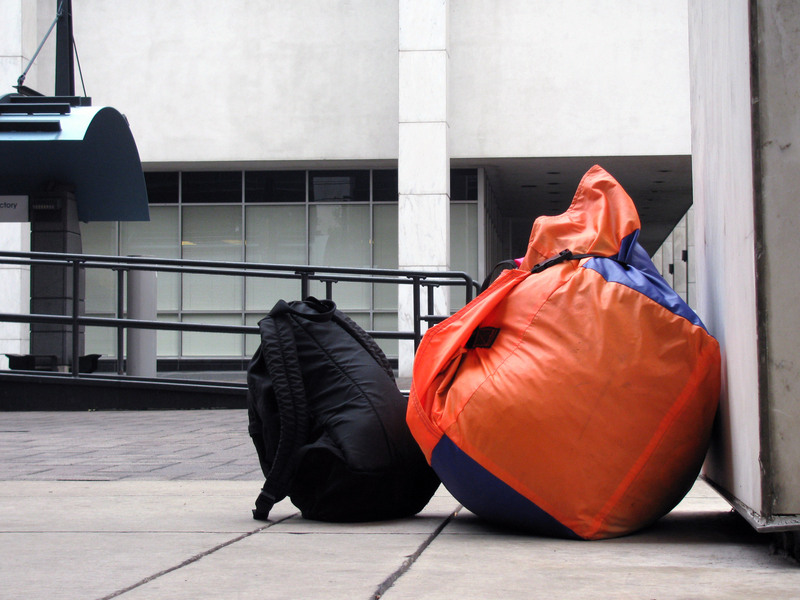 Most people do not notice these two objects sitting on the street until the combination of the two results in a huge inflatable sculpture. Rain and strong winds did not stop the performance nor the public. Before suiting up, cameramen from CBS 11 and CW 33 interviewed me about my plans for the Dallas performance. A photographer from the Dallas Observer and Pegasusnews.com braved the wet and windy weather as well. The Texas performance tour did not have any hiccups. After spending an extended period in Texas during graduate school, it will always fell like one of the places that I can call home. I look forward to the next time I return to Texas with new work. Thank you to all the patrons of the arts in Texas.